16 November 2018. The most commonly used insecticide in the EU and the USA has been approved on the basis of a toxicity test that has now been found to be faulty. Chlorpyrifos is used against worms and insect pests on a wide range of crops, including corn, soybeans, wheat, alfalfa, and fruits. Residues are often found on conventional fruits, such as grapes, and metabolites appear in the urine of children, even in countries that don’t use the product. Under the name of Dursban or Lorsban, this organophosphate substance was approved for use as pesticide based on test data submitted by the producer, Dow Chemical. As this type of pesticides can inhibit an important brain enzyme called choline esterase, a test of neurotoxicity in rodents and their offspring is often required by the regulatory agency. The summary from the laboratory that Dow had contracted with indicated that no adverse effects were seen in brain development of the rat pups, unless the dosage was high enough to cause toxicity in the dam. The chemical company agreed with this interpretation and submitted the conclusions for certification of the pesticide. Apart from the summary, the details were not released to the public. However, Swedish scientists obtained the laboratory results via freedom of information legislation and found that the conclusions did not match the actual results. First, the pups were not exposed as they should have been, because exposure essentially stopped at the time of birth, while the standard protocol requires continued exposure until the brain has developed to similar stage as the human brain at the time of birth. Still, the growth of the cerebellum was abnormal, but this finding was hidden by relying on total dimensions rather than individual measures. Against the protocol, the laboratory used a 2% criterion for statistical significance instead of the standard 5%. Finally, in behavioral tests, the pesticide was found not to cause any deviations from controls. However, the test included a well-known brain drainer, namely lead, given as the nitrate salt. Against expectation, the laboratory found that lead did not cause toxicity to brain development, thereby suggesting that the test was insensitive or faulty. These details were not revealed in the summary that was submitted by the producer, although they should have triggered further testing and certainly not approval of the compound as pesticide. Chlorpyrifos was slated to be phased out by the previous administration in the US, but this was cancelled by the new EPA leadership. 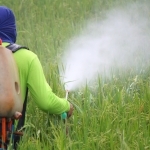 In a recent development, a federal appeals court ordered the EPA to ban the pesticide due to the risks to brain development seen in studies of children. The regulatory agencies usually ignore such findings from epidemiology, allegedly because a causal association can never be formally proven. However, given the similarity of mammalian neurochemistry and the fact that chorpyrifos targets the nervous systems of insects, it is very plausible that chlorpyrifos may lead to nervous system damage in humans, and recent, careful studies have shown developmental toxicity to the brains of fetuses and young children. In the EU, the pesticide is currently under evaluation, the responsible Member State being Spain. A decision is expected in 2019. Chlorpyrifos shows once again that the impact on health caused by chemical brain drain is vastly underestimated and ignored by the agencies supposed to be responsible for protecting public health. An EU ban on 3 neonnicotinoids is now in force – but only for use for outdoor purposes. Still it is legal to use them in permanent greenhouses as a pest repellent in tomatoes, cucumbers, peppers and flowers. Beside of this there are still some other neonicotinoids which are legal to use outdoors.